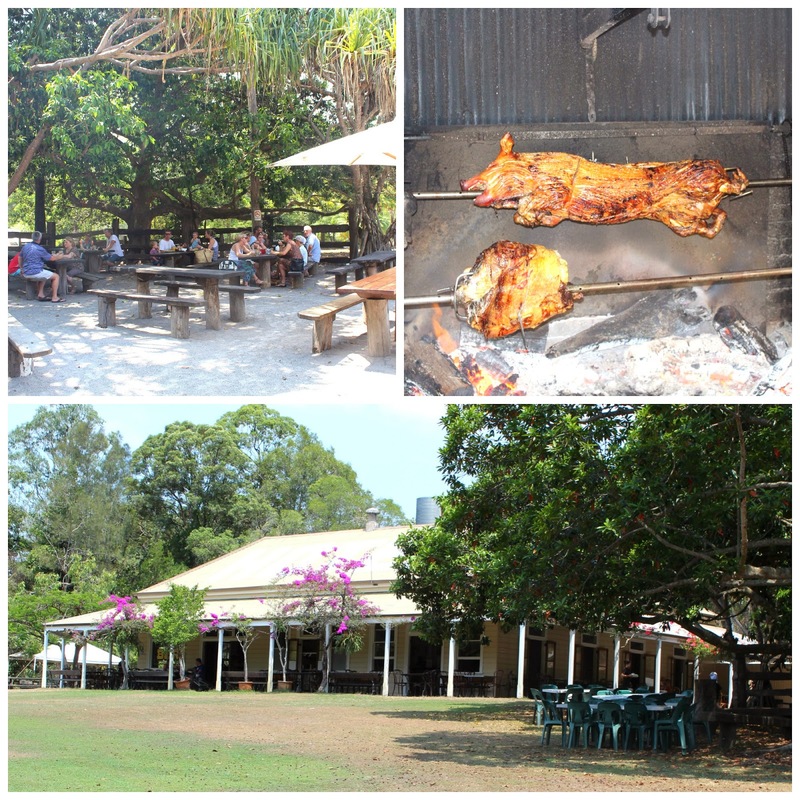 Indulging in the Sunday lunch spit roast, at the historic Apollonian Hotel in Boreen Point in the hinterland of Queensland's Sunshine Coast, has often been described, as a great way to spend a Sunday afternoon. 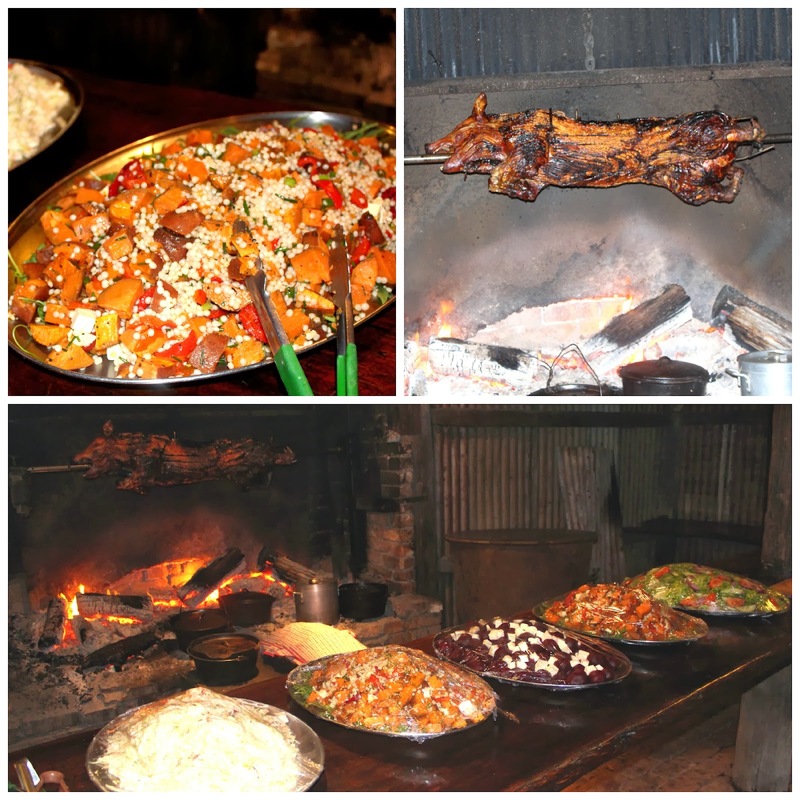 Whilst the spit roast is the pub's weekly signature event, this establishment serves good country pub style food, every day. 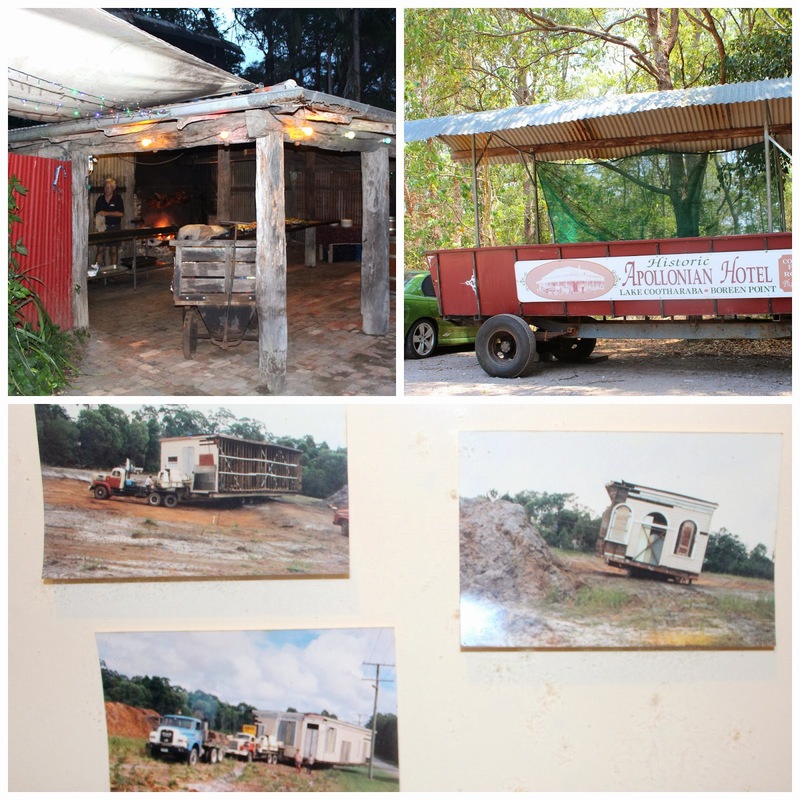 Originally built during the gold rush in Gympie in the 1870's, the hotel was moved to it's current location on 3.5 acres, in the quaint hamlet of Boreen Point, by the shores of Lake Cootharaba, in 1987. 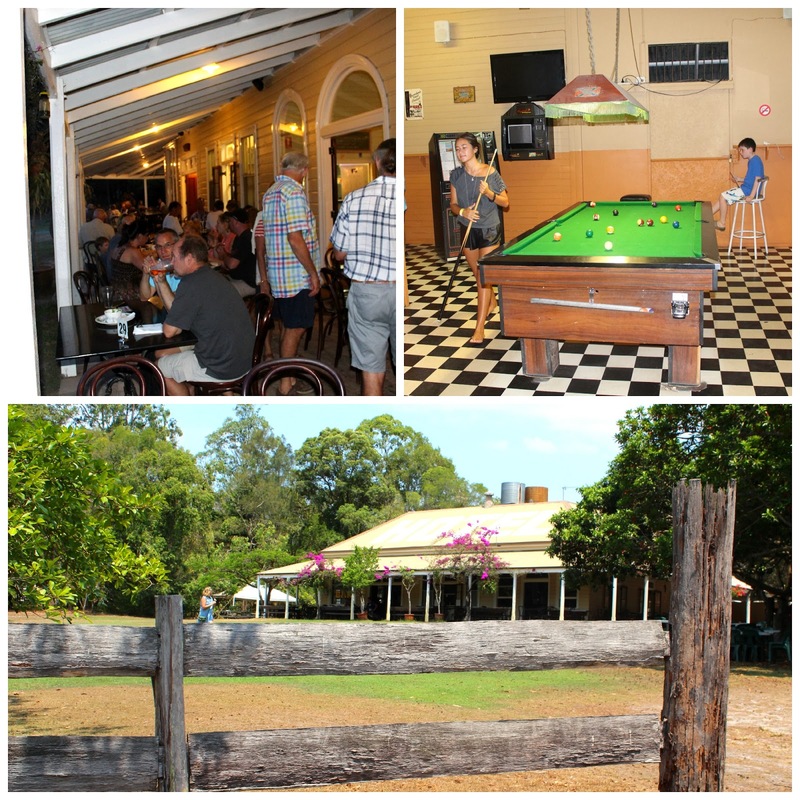 Whether you sit around her beautiful wide and shaded verandas or, in the beer garden under the big old fig tree in Summer, or by the open fire place in Winter, you will be in for a truly authentic Australian country pub experience, when you visit. 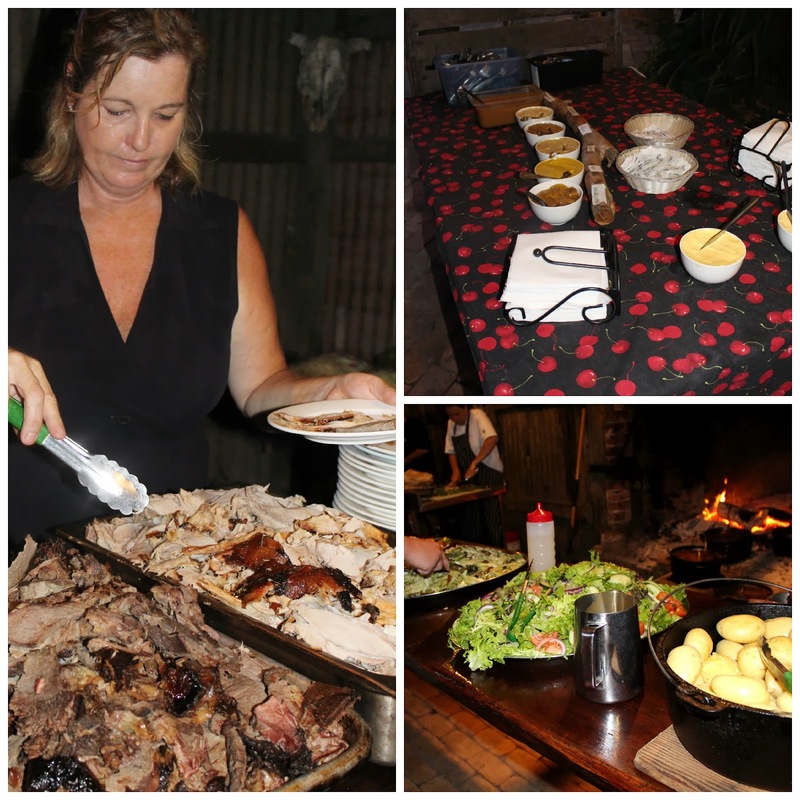 The roast is prepared in a typical Australian bush kitchen, on a wood fired spit, adjacent to the beer garden. Sunday lunch is often accompanied by live music. Just 30 minutes drive North West of Noosa Heads, and steeped in the history of the area, this is one not to be missed. Take a look around and meet me at the bottom, for all the essential details. 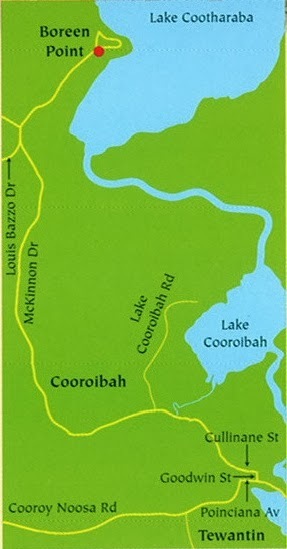 Distance from Noosa CBD: 26km and about 30 minutes by car. Phone: (61) (07) 5485 3111. Between 10am and 10pm daily. Open: Seven Days a week 12pm -2pm for lunch and 6pm-8pm for dinner. 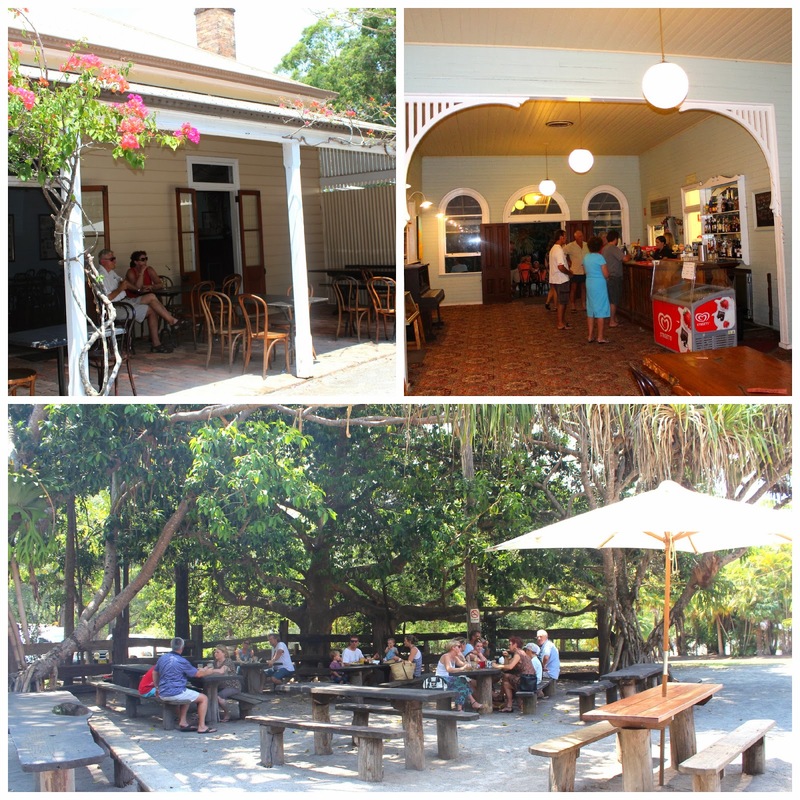 The vibe: Think relaxed country Queensland and colonial history. Spread out under the shade of the big old fig tree in the beer garden. The beer is cold and there's plenty of room for the kids to play outside. A pool table is also available for the use of guests. Up Coming Events: Loads of live music. Go here for the hotel's updated program. Cuisine: Offering a good range of Australian pub style food, for lunch and dinner. In addition, the Sunday spit roast, which includes potatoes, salad and damper, is very popular and bookings are advised. Functions: The hotel is available for function hire. Accommodation: Yes, budget accommodation in restored former railway workers' quarters. Bathroom and kitchen are shared. Breakfast on request, if pre ordered the night before. 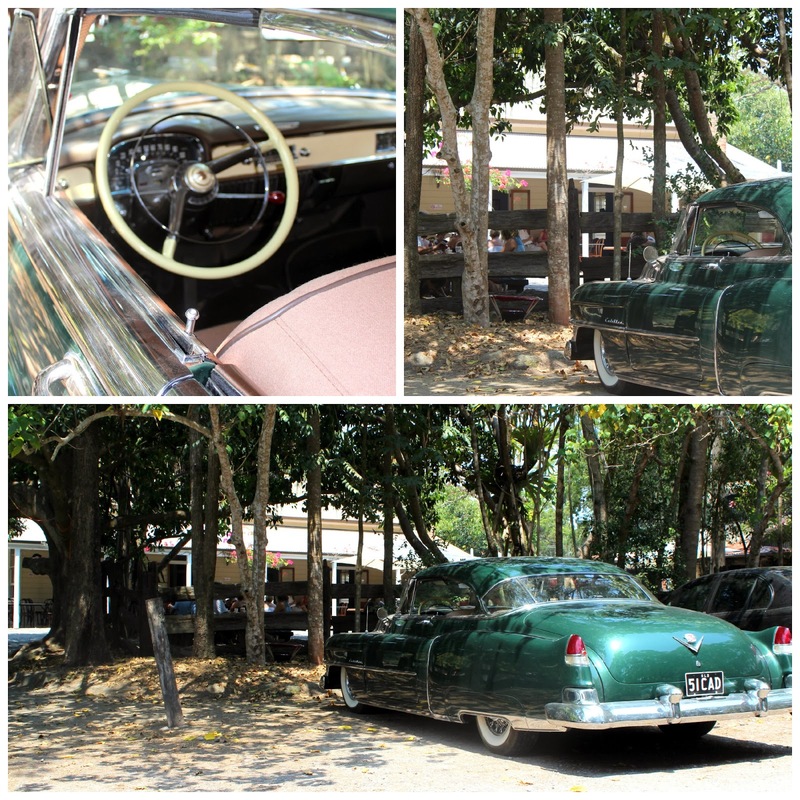 Parking: Free parking is ample in the hotel grounds. Public Transport: No, private transport is required. Shade: Yes plenty of it. Dining is outdoors under to wide colonial style verandas. There is also an inviting beer garden, well shaded by mature trees. Indoor dining is also available. Fire Place: Yes there is an open fire place, with a beautiful shell clad mirror on the mantel. I am reliably informed that it does get cold enough in Winter to be lit. Childrens' Play Area: Although no formal play equipment is provided, children can play freely on the lawn in front of the hotel. Water Views: No, not from the hotel. 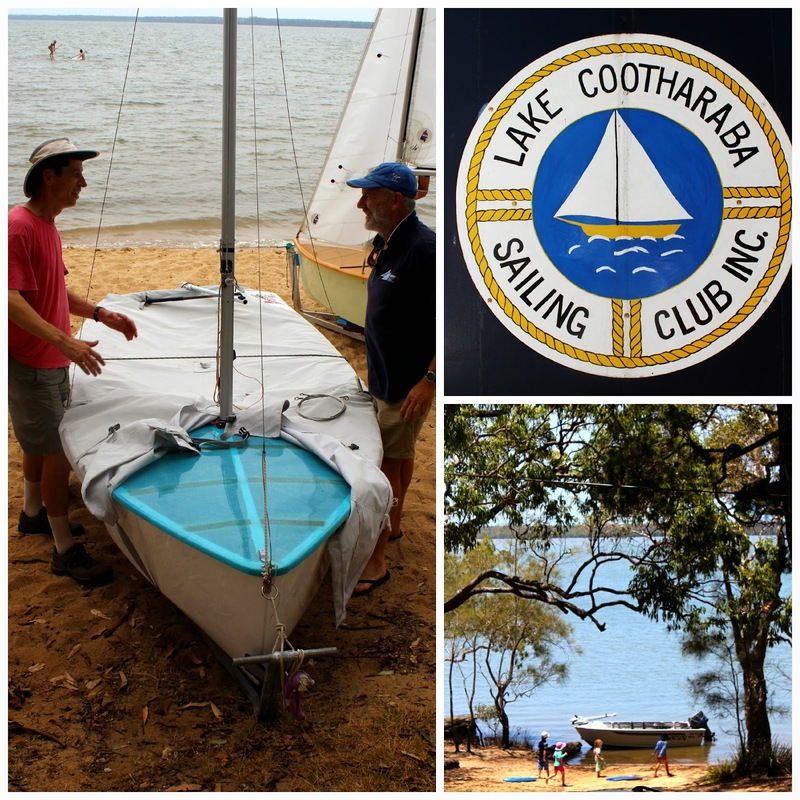 Other attractions: Take a walk down to Lake Cootharaba after lunch and take in the beautiful vistas of the body of water, which ultimately flows into the Noosa River. Shopping in Noosaville and Noosa Junction here. Eumundi Markets and Noosa Farmers Market here. Silent Movies at the Majestic in Pomona here. Shopping and Dining at Peregian Beach here. Oh Carolyn! How gorgeous! I don't think I've been there since I was very young. What a wonderful place to go. I'd crawl over broken glass for roast pork on the spit! Looks fabulous! Love a good pig on a spit! 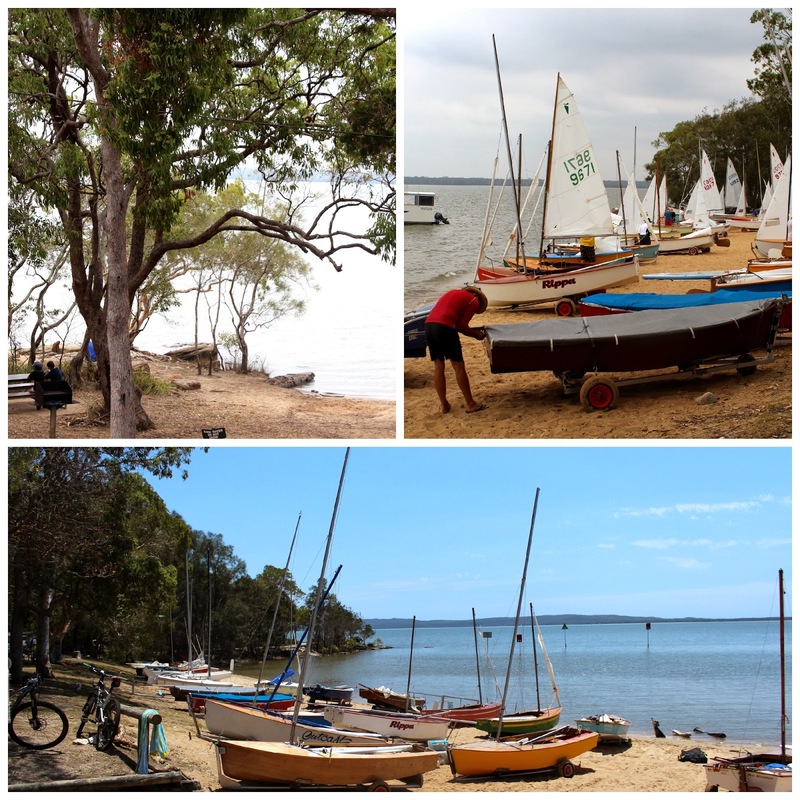 Nice post, just the sort I love and bookmark for future reference... and can you please take me next time you head to Noosa?! Took friends last weekend and it was beautiful. Such a great spot. 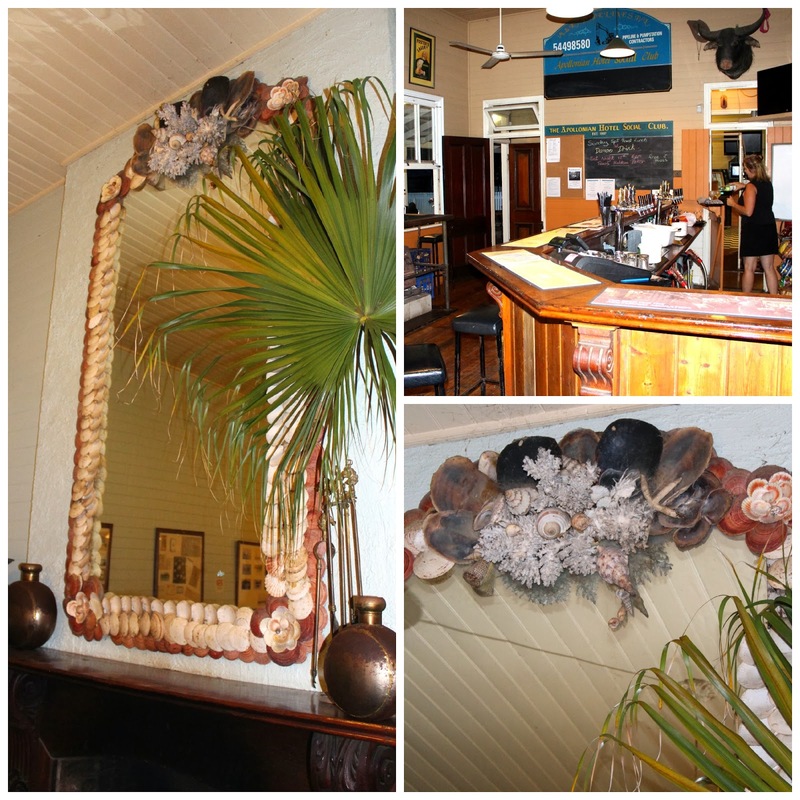 And that shell mirror is amazing! So glad you enjoyed it too.